Materials: Small amounts of any double knit yarn of your choice, a 4mm hook and a darning needle. 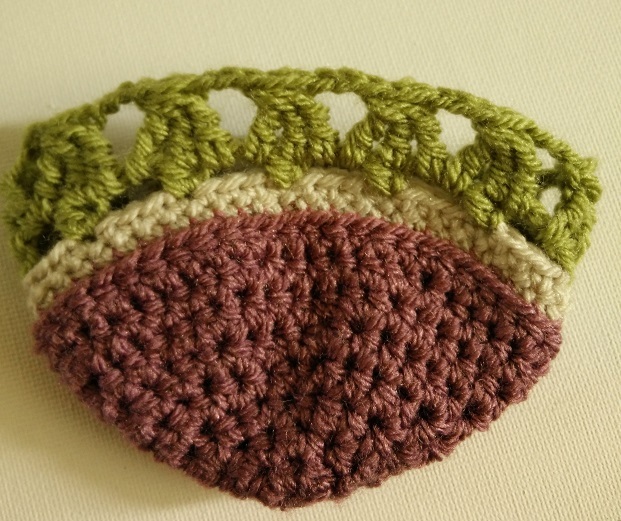 Stitches used are: Chain (Ch), Double Crochet (DC) Half Trebles (HTr), Double Crochet 2 Together (DC2Tog) Double Trebles (DTr), Double Treble 3 Together (DTr3Tog) and Backwards DC. 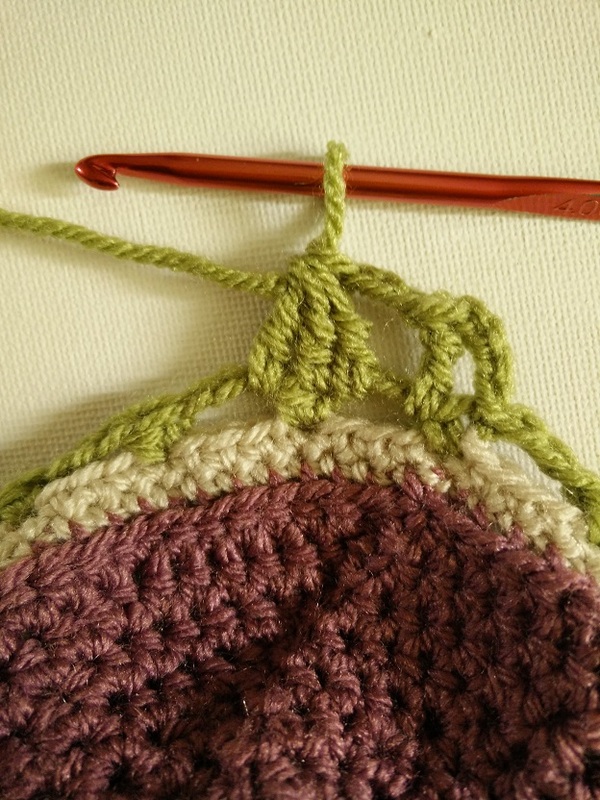 Full photo illustrations are given for the Double Crochet 2 Together, Double Treble 3 Together and backwards DC stitches. 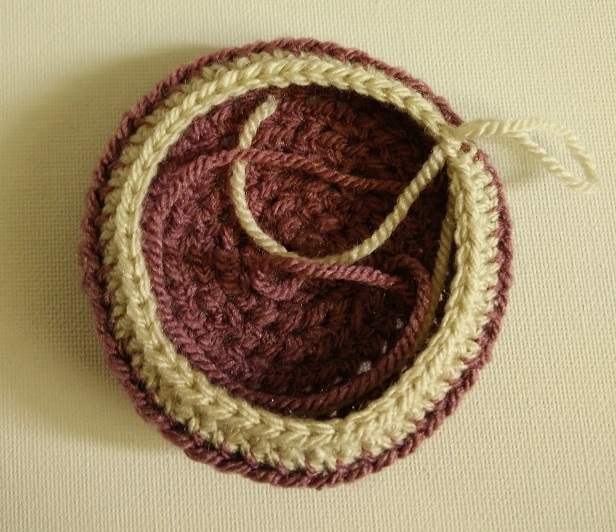 This pattern can be used for covering a jar approximately 8cm wide. I used a cheap, small storage jar from IKEA but any jar of a similar size will do. The Tree part of the pattern is made in multiples of 4 stitches so if you need to make yours a bit bigger or smaller adjust the base size so that your last row has multiples of 4 stitches around. The Chain stitches at the start of the row count as the first stitch of the row unless otherwise stated. To start, Chain 4 and Join to form a ring. Join a new colour for the next 2 rows. 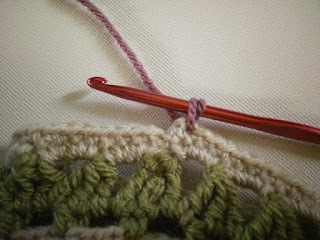 I do this by simply drawing up a loop of the new colour in the last stitch made. 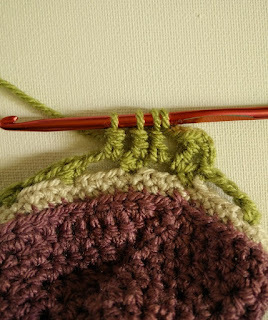 Join a new colour for the next 2 rows. 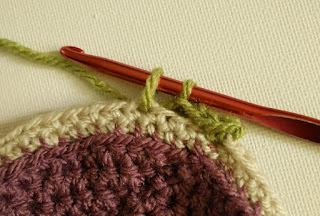 Row 11 – Ch1, DC in the same stitch, Ch3, Skip 3 stitches *DC2Tog in next stitch (This is made by: Put your hook in the stitch, yarn over and back through to the front of your work, yarn over and through 1 loop on your hook. 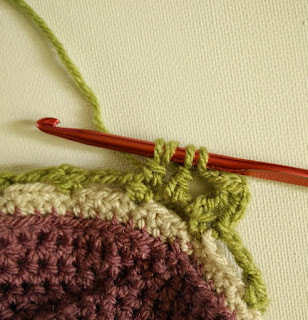 Put your hook back into the same stitch, yarn over and back through to the front of your work, yarn over and through all 3 loops on your hook. See pictures below if you are not sure) Ch3, skip 3 stitches* repeat this around. Join with a slip stitch into the first DC made at the beginning of the row. 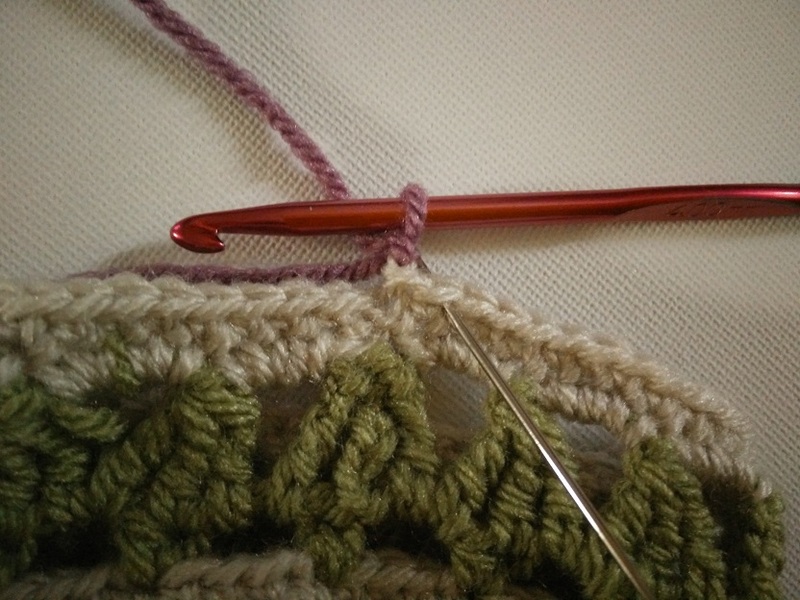 Row 12 – Ch 4, 1 DTr in next Chain space. (DTr are made by: Yarn over your hook twice, put your hook into the chain space, yarn over, pull your hook back through the chain space, yarn over and through 2 loops on your hook, yarn over and through 2 loops on your hook, yarn over and through last 2 loops on your hook) Ch3, *DTr3tog in same chain 3 space, next stitch and next Chain 3 space as shown below, then Ch3* repeat around. 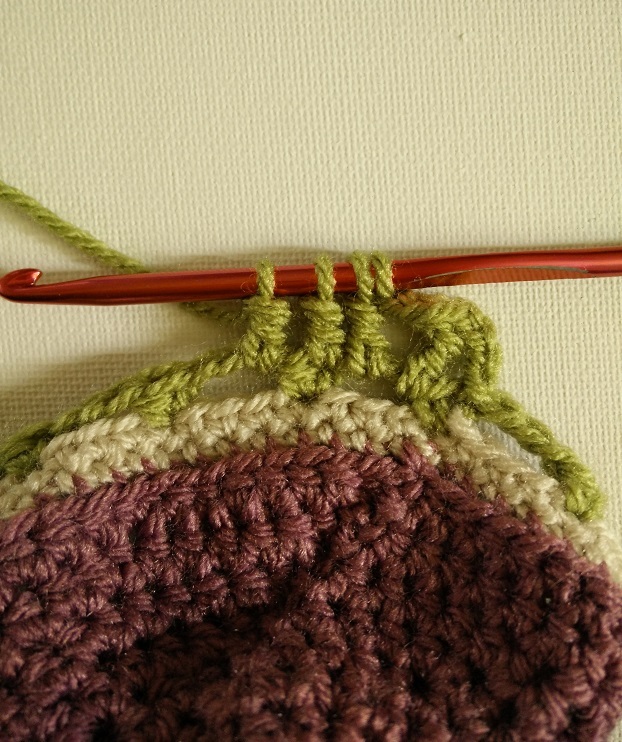 Rows 17 & 18 – Repeat rows 13 & 14. 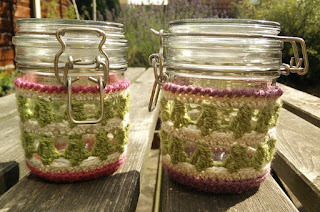 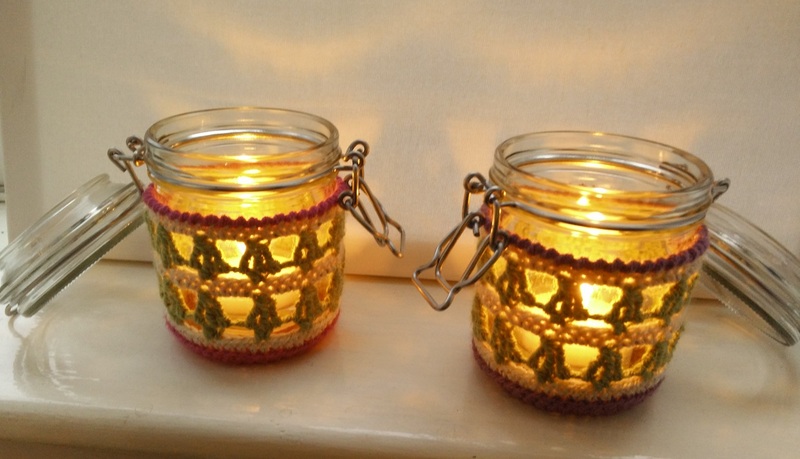 If you are using a tall jar and want more of the pattern, just repeat from row 11 to 14 until you have the desired height for your cosy. 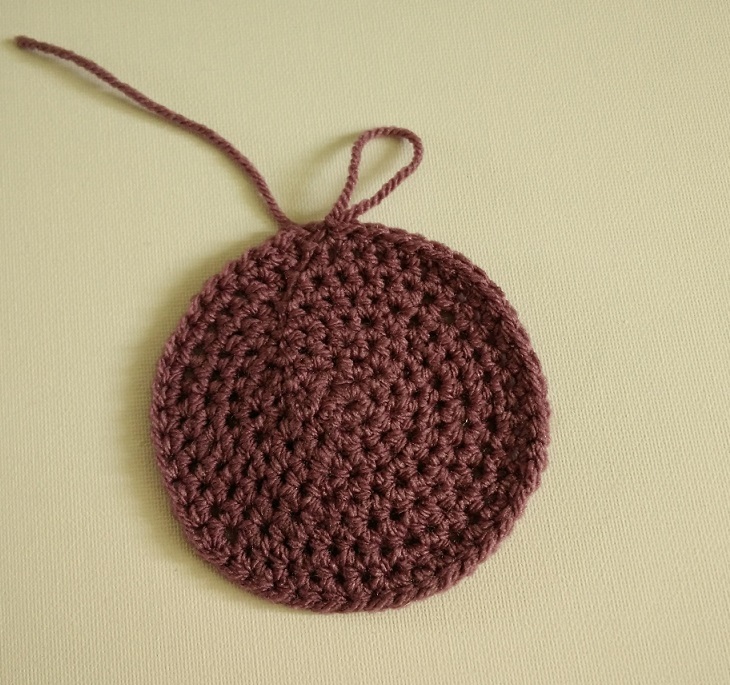 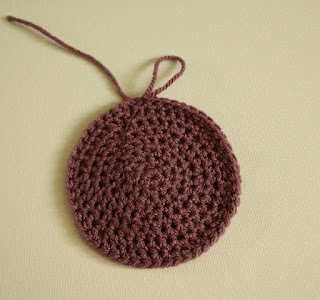 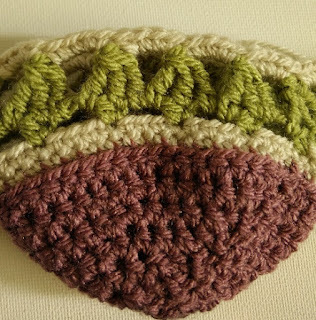 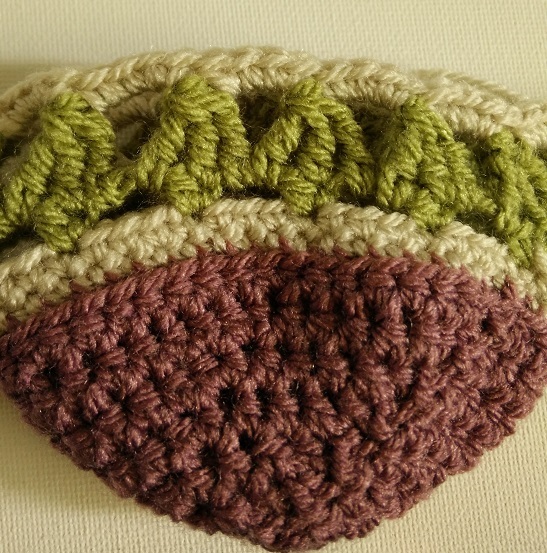 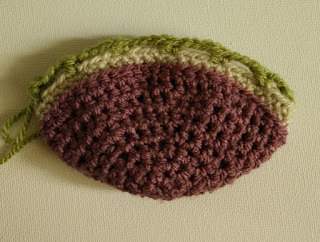 Row 19 – This last row is made by crocheting DC stitches backwards. 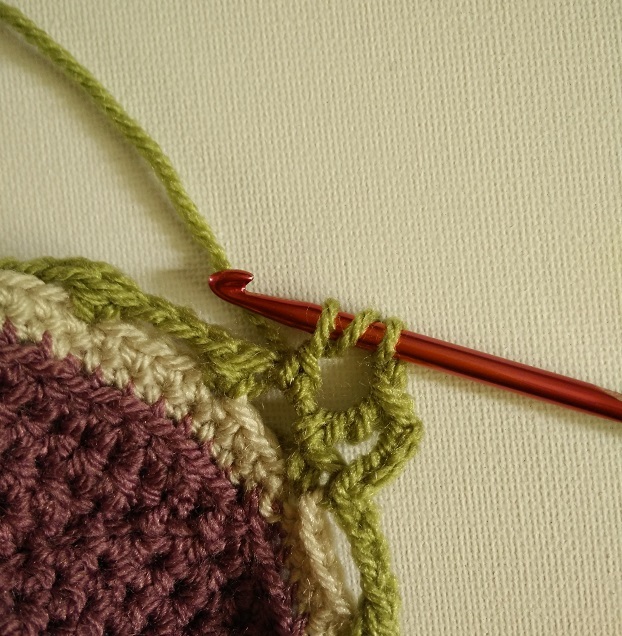 This is quite simply the same as a normal DC stitch but instead of putting your hook into the next stitch, (working right to left) you put it in the previous stitch (working left to right). 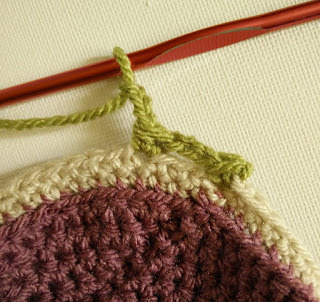 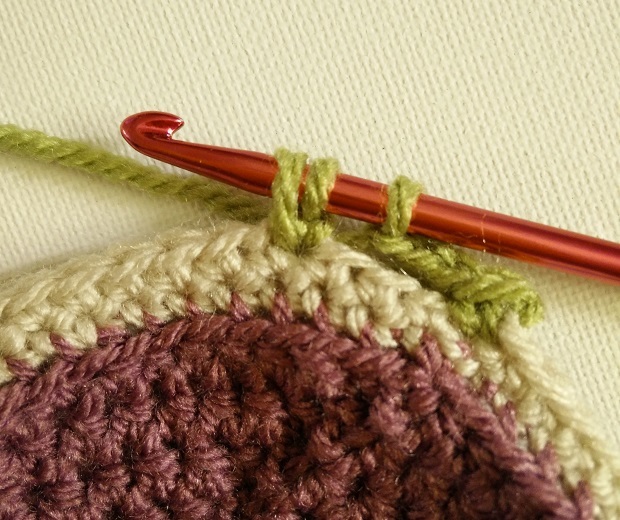 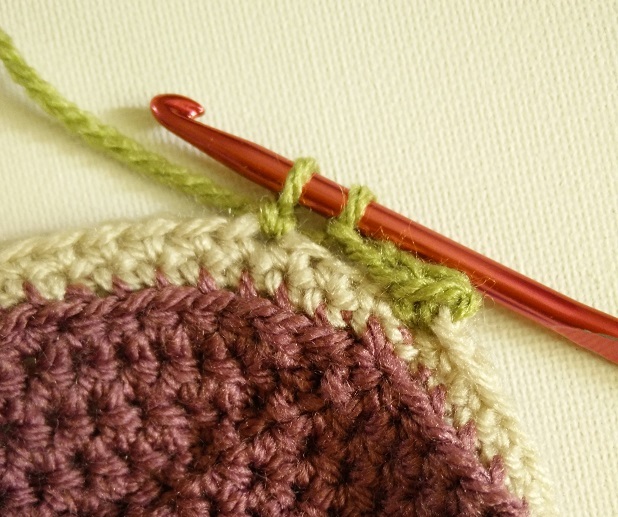 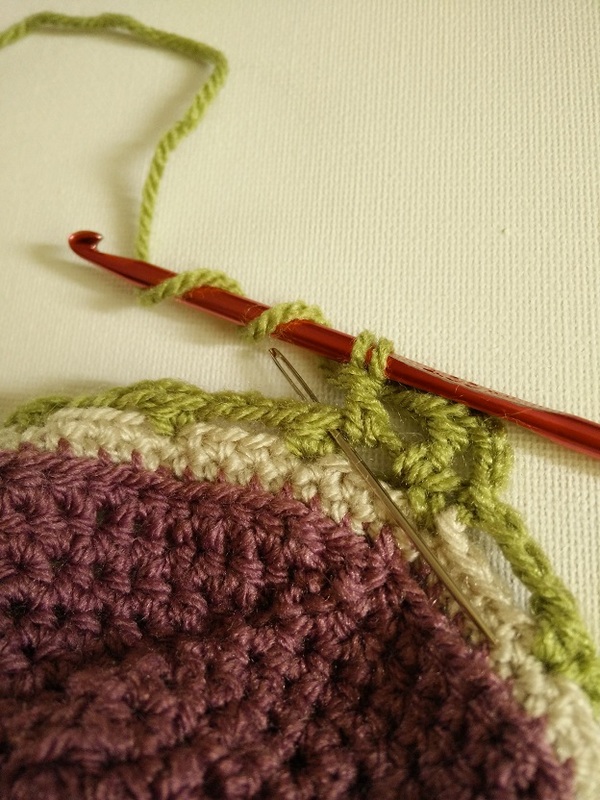 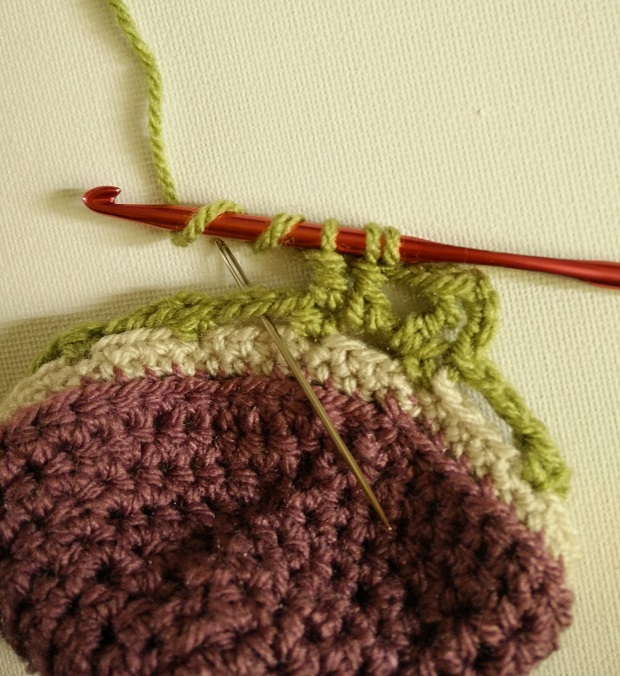 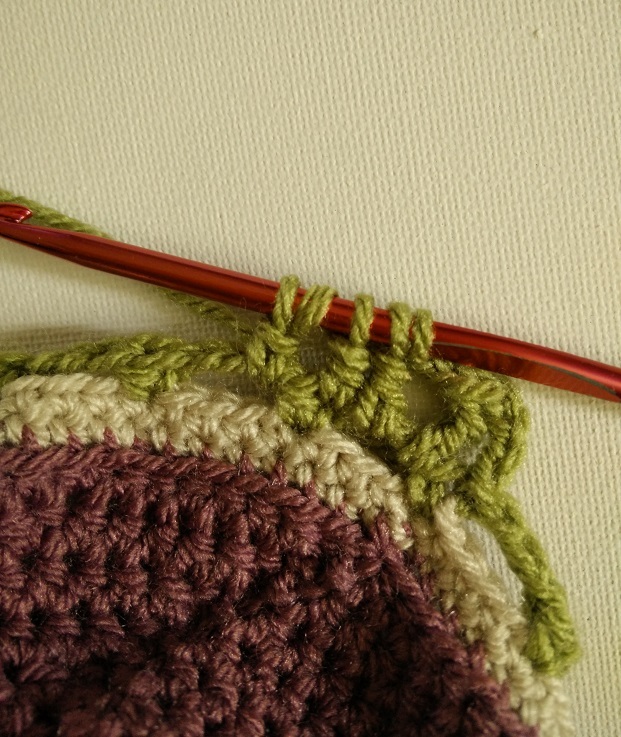 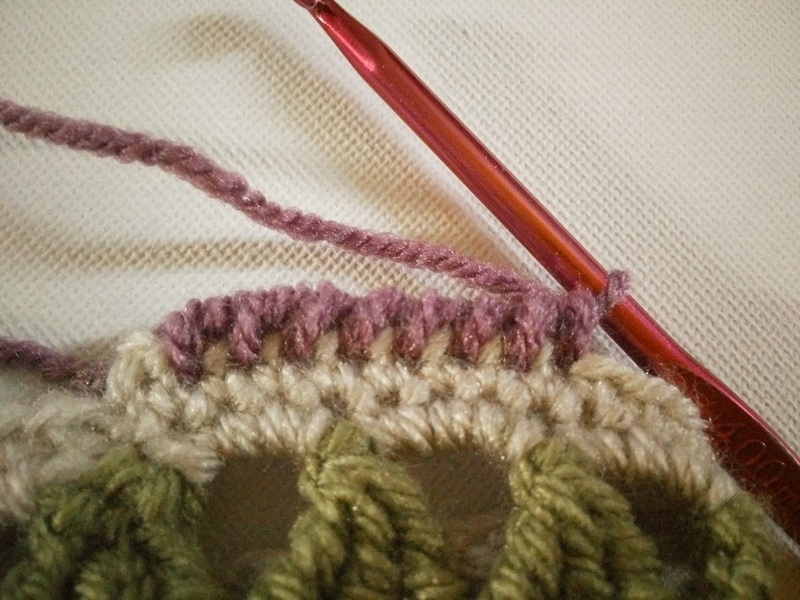 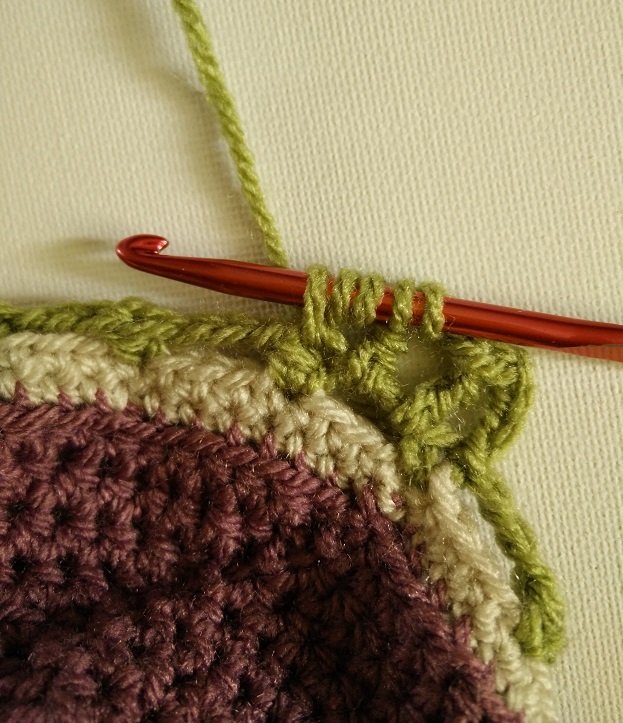 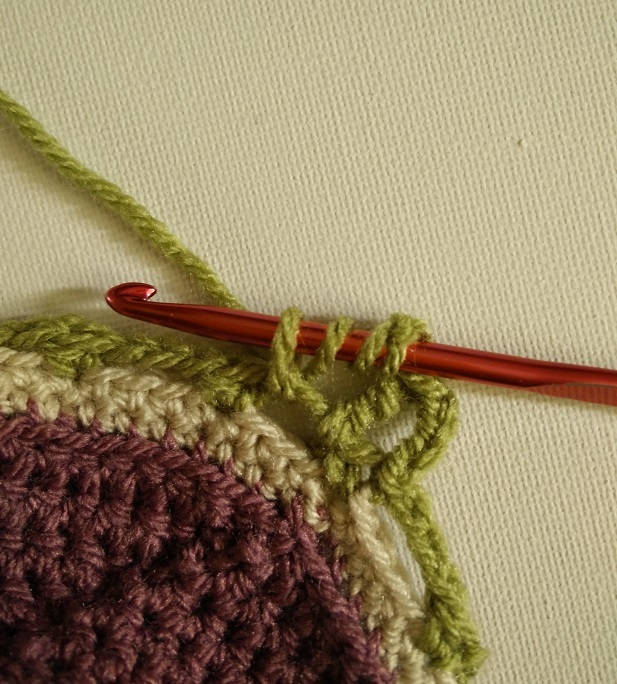 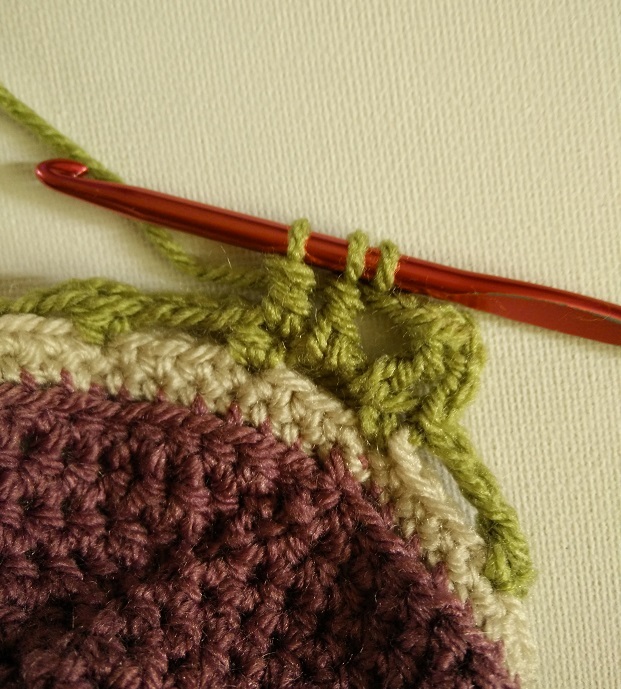 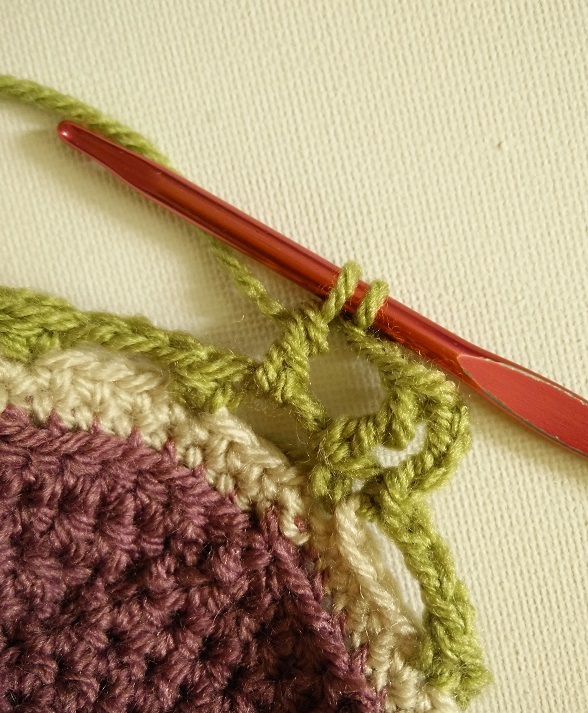 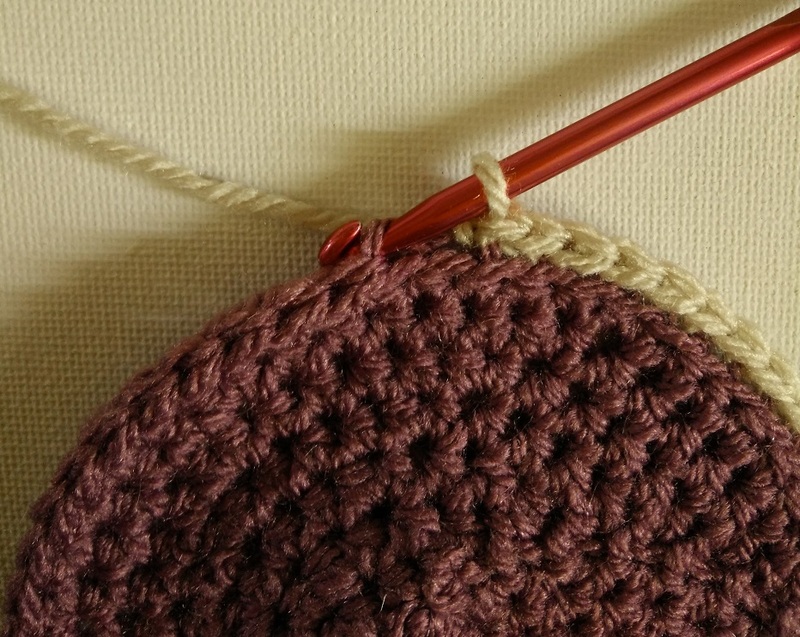 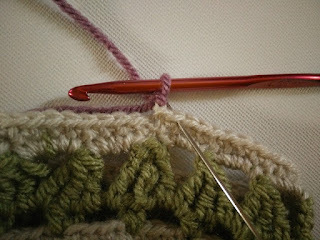 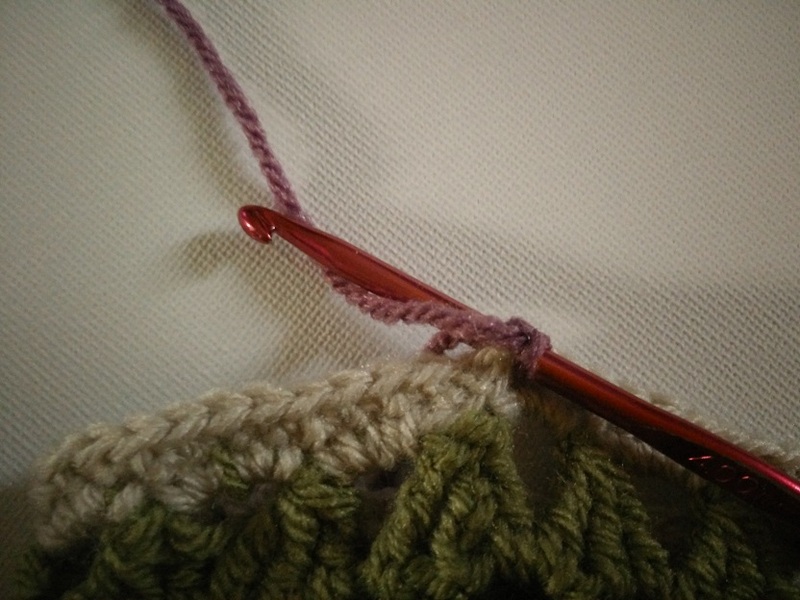 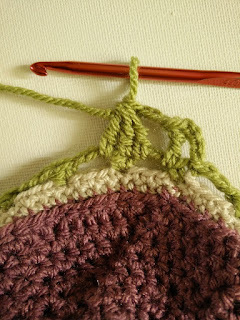 Re-join the colour used for the base of your cosy by drawing up a loop in the loop of the last stitch made. Ch1 to anchor it in place. 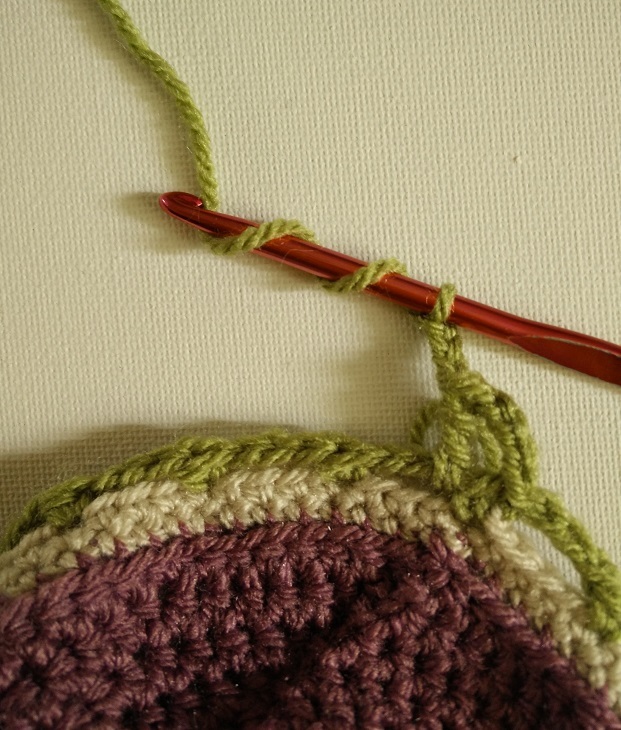 Yarn over and through both loops. 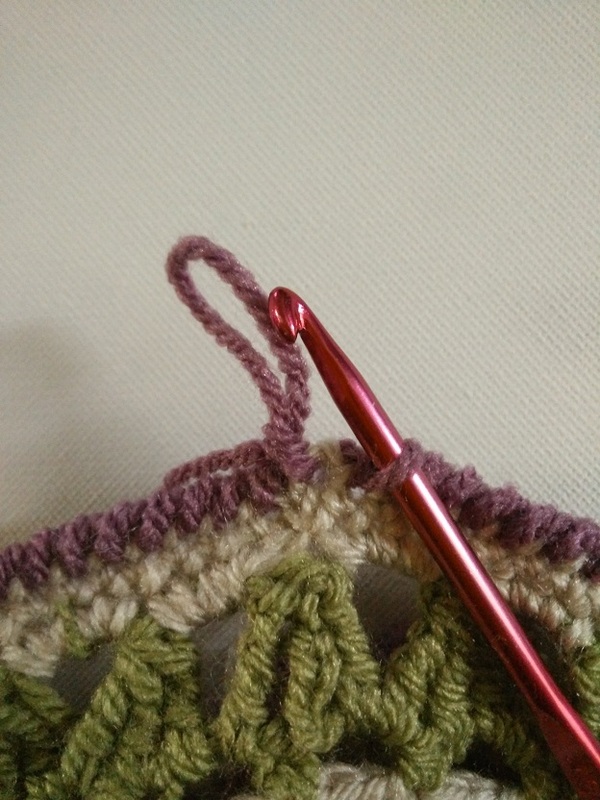 Repeat this around working left to right. 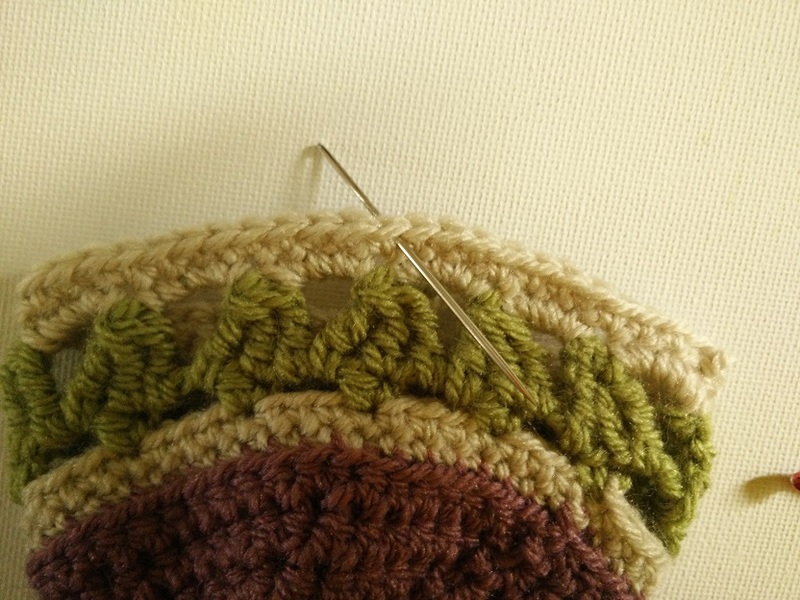 Sew all ends in neatly on the reverse of the cosy.